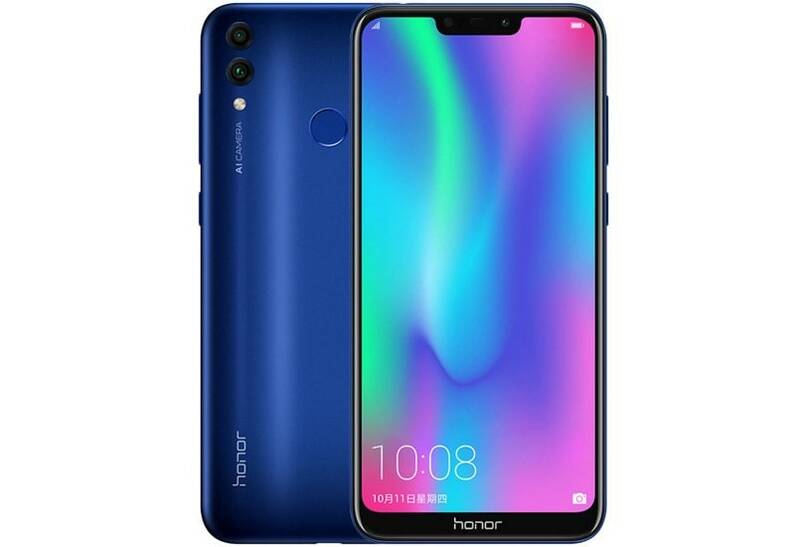 Honor recently launched its new smartphone in China named the Honor 8C which is being considered as the successor to the 7C, launched 5 months ago. Honor definitely needed to bring some upgradation in their lower budget phones so that customers have some options to look at from their side also. This may fill the gap and attract some consumers. Let's have some look at the specs of the device. Honor will be introducing a 6.26 inch HD+ TFT LCD IPS display with the Honor 8C. The resolution of the display will be 720x1520 pixels that will give the display a pixel density of 293 PPI and an aspect ratio of 19:9 with the notch. No other thing has been confirmed and we will have to wait for the device to be launched in India. Honor 8C will be coming with the newest launch from Qualcomm, the Snapdragon 632, which was launched just 4 months ago in June '18. It is made with 14 nm FinFETT technology and is an octa-core based processor having 1.8 GHz clock speed. It is supported by the Adreno 506 GPU which we also see with the sd625 chipset. This contains 250 Kryo cores that make it better than the 625. Honor always put their custom UI, the EMUI, and this phone will be coming with the 8.2 version of it with the Android 8.1 support. We can expect good performance with the hardware and software combination of the phone. In the optics section, the Honor 8C has dual rear camera setup on the rear side like most of the smartphones of 2018. The main camera has a 13 MP sensor with f/1.8 aperture and the secondary camera works as the depth sensor having a 2 MP lens, like typical honor, with f/2.0 aperture. In the front side, it has an 8 MP selfie shooter with f/2.0 aperture and also an LED flash with it. This time we will have it in the front side on the notch portion of the phone. Honor also this time crossed their limits and touched the 4000 mark in the battery section. Yes, Honor had introduced a 4000 maH battery with it's Honor 8C. This will the biggest change if Honor continues it in their other phones too. It also has the Dual 4G VoLTE, WiFi 802.11 b/g/n, Bluetooth 4.2 with micro USB 2.0 support. Honor has not added any fast charging support with this device. Honor has announced four color variants of the 8C which will be the Aurora Blue, Platinum Gold, Nebula Purple and Midnight Black. It will be available with only one ram variant that is the 4GB RAM variant and two storage options of either 32GB or 64GB and also has expandable memory up to 256GB with the microSD card. The prices of the China variants of the phone is 1099 yuan (US$ 158 / Rs. 11,785 approx.) for the 4GB RAM with 32GB storage version and the 4GB RAM with 64GB storage version costs 1399 yuan (US$ 201 / Rs. 15,000 approx). In India, Honor must keep the pricing under 12,000 because other brands are offering better processor like the sd636 with better battery and other specs in less than this price point. With these words wishing you a very happy Navratri and Durga Puja.